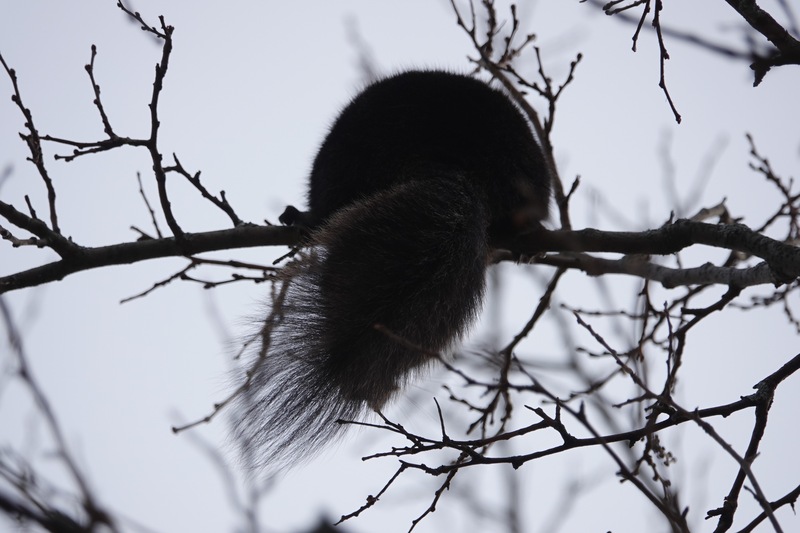 If it’s quiet enough, not generally a condition found within the bounds of NYC, a squirrel gnawing on a walnut will ring throughout the area. The eating of buds, on the other paw, is much more subtle. You may only notice when things start falling on your head. 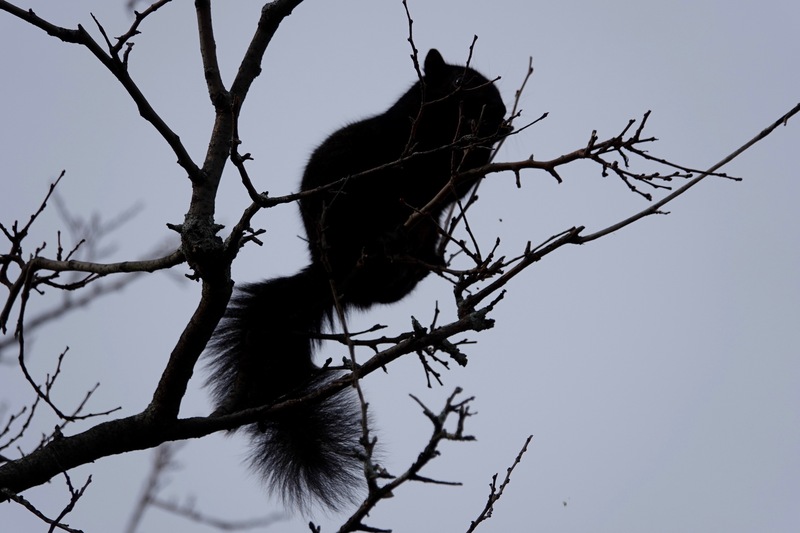 Are black squirrels like this one common there? Depends on the location. Some parks more than others. 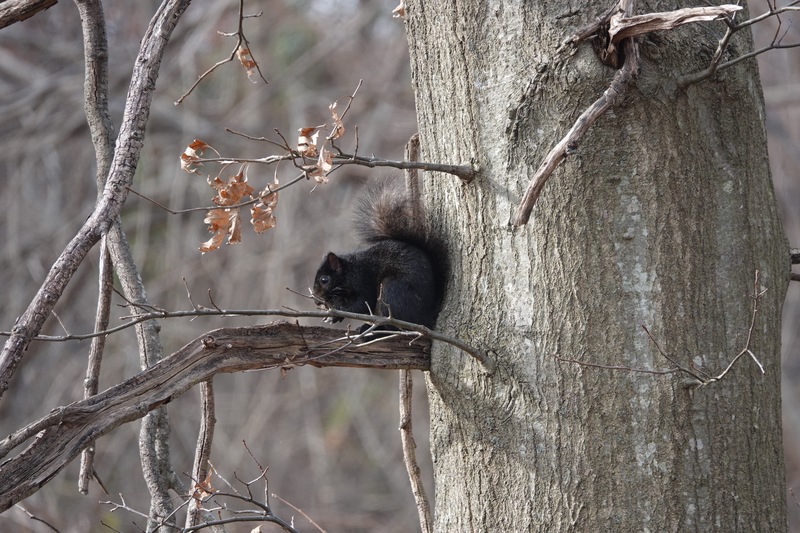 They’re a color variation on the Eastern Grey, Sciurus carolinensis.